For any further questions, please contact the Campus Principal. As a parent, you are one of our most valuable partners in education. Because your involvement in your child's education is crucial to his or her success, we actively encourage you to set up your employee portal account. 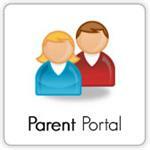 Please view the Parent Portal Tutorial to get started. Per Texas Education Code, we are required to obtain the following documentation in order for your child(ren) to be enrolled at Dilley ISD. Parents should replace supplies as needed during the school year. Certain classes may have additional minimum requirements determined by the nature of the course. Teachers will notify students on their first day of class.